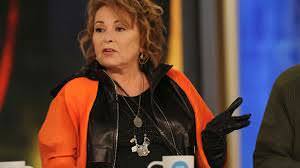 Roseanne, the show, that just had a reboot to uproarious ratings, just got cancelled. Over what? Well, Roseanne on her personal twitter made a comment, “muslim brotherhood and planet of the apes just had a baby=VF” — meaning Valerie Jarret. Are you offended enough to cancel an entire show and put hundreds of people out of work — not to mention those of us that liked to watch it? While it is tone deaf and way out-of-line and especially not funny, did anyone ask Valerie how she felt. Because, for me, it was so silly, I wouldn’t have given it much thought. People on Twitter are haters. I would have blown it off. Roseanne has in her chart predictive Mercury square Venus. I had looked at this prior because I believe I heard there was tension on the set. But I decided it wasn’t bad enough to warrant the whole show getting cancelled. My mistake. I’m still a little shocked. Are you? For private readings, please contact melanie@xtrology.com. And please visit us on Twitter (ha!) and Facebook.